A.1. captures the authentic sweet and tart Texan spices and a rich natural mesquite smoke flavor and blends them into a delicious marinade. A.1. has perfected its marinade formula over years so that it keeps your meat juicy and succulent.Old Bold TexasTaste the Texas you've known all your life. 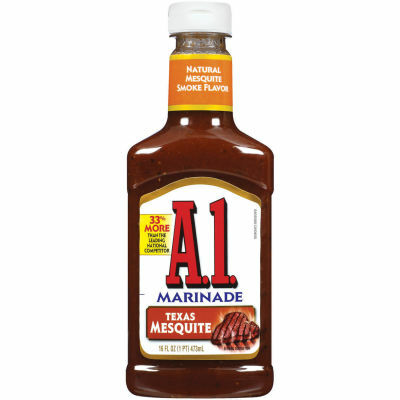 Marinade your steak, or brush it while grilling; the strong, bold and distinct flavors from Mesquite, Texas are going to grace your steak from inside and out!